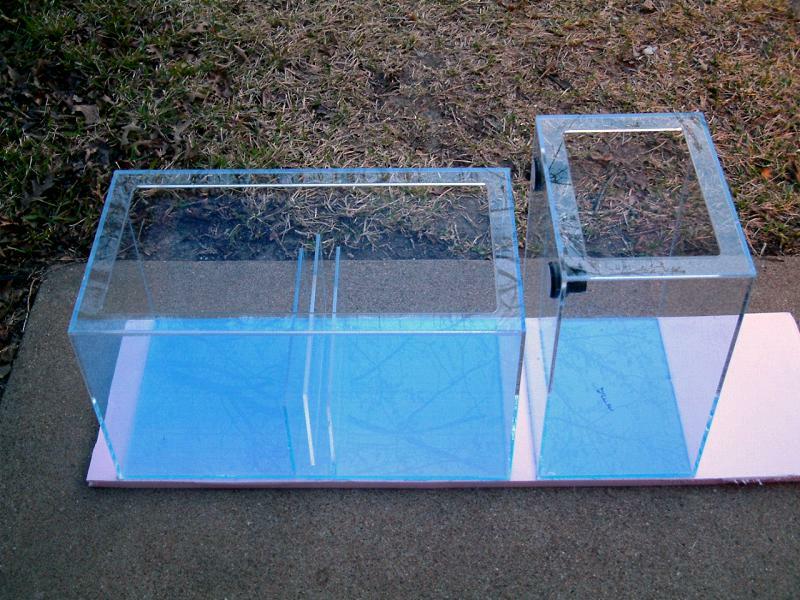 Keith, a DFWMAS club member and customer of mine, ordered a frag tank and matching sump. He designed the steel stand and listed his desires, and I got busy building his dream setup. 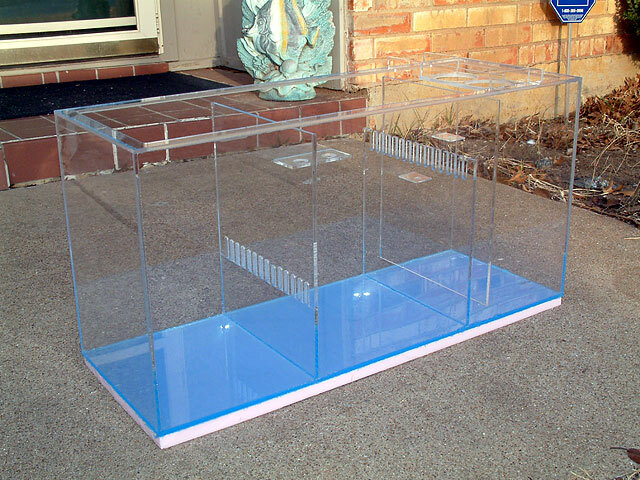 The frag tank is 47.75" x 30" x 14" and holds 75g of water. The custom overflow has three Durso drains and two Locline returns, with room for pumps on either side of the overflow. 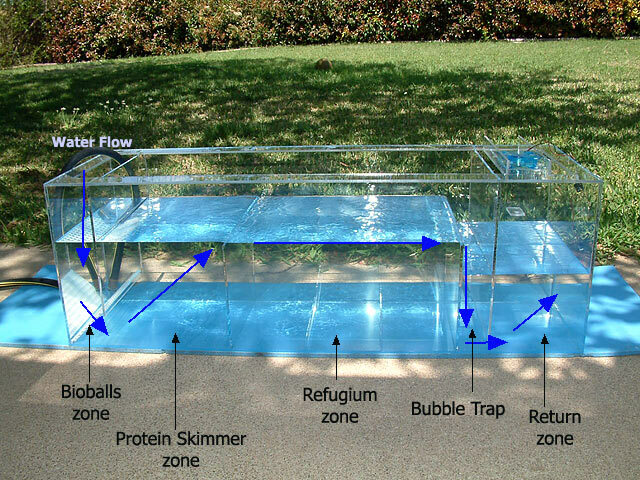 The first sump I designed was basically a refugium and a return zone. It incorporated a bubble tower to avoid microbubbles, and kept the sump quiet. It fit under a 29-gallon reef, and held 16-gallons to the top rim. 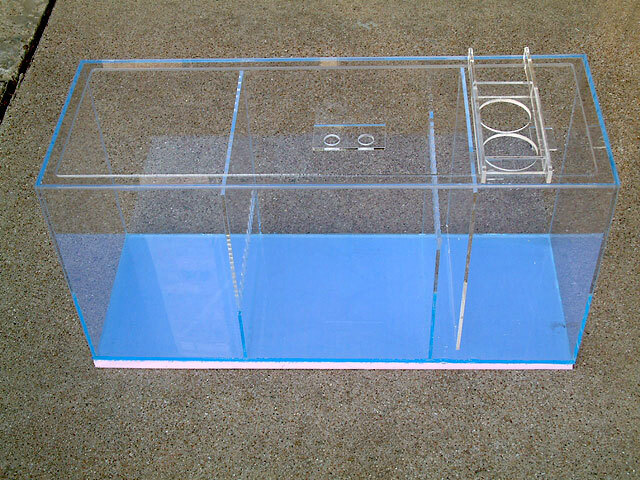 David, a member of DFWMAS, requested a custom sump that he designed himself. Water flows through a small section filled with bioballs to break up the bubbles, then into the skimmer section. Next, it will flow through a refugium using Miracle Mud, and down through more bioballs into the return section. This sump is 48" x 16" x 16" and fit under a 125g reef. This is a single-flow sump system that moves the water from the left to the right. This sump had to be a creative one, because #1) it was for someone new entering into the hobby and didn't have previous experience with any reef keeping, and #2) the design of the stand made things very difficult to fit anything in of decent size. Originally, it was to be a one-piece unit, but in mid-stream the skimmer was replaced with a different sized unit, and everything was reworked. The base unit holds the skimmer and the return area. Above it, a refugium drains diagonally into the return area. 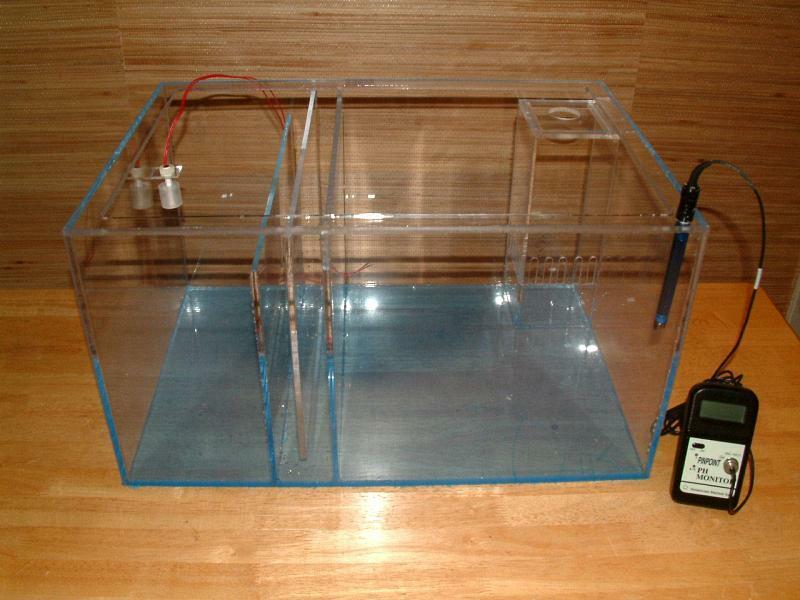 This sump & refugium is designed to fit under a smaller tank. Dimensions are 26" x 18" x 16" and can also be made cube shaped (20" x 20" x 16" for example). What is nice about this sump is that the refugium spans the entire front so you can enjoy seeing the macro algae grow and the pods scurrying about. Read more about What is a sump? You must make a series of decisions for your next sump order to meet your specific needs. The following Q&A should help cover most points, but feel free to ask me for additional help via email if you wish. 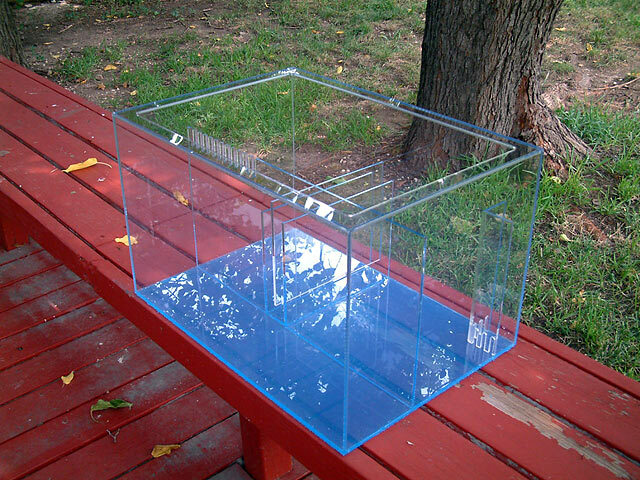 After several years of building sumps, a potential customer asked me to build him a custom tank. My concern is always about the livestock and until then I'd never considered building a display system. He urged me to do it, not taking no for an answer. This was my first attempt. He wanted the tank to have a black panel the full width of the tank to hide the plumbing leading to the sump and I wanted it to have an overall clean look.